As viral diseases such as measles and polio have been put back on the map by the lack of vaccinated children and adults, a question arises about the public’s safety during this time of non-vaccination trends. Not vaccinating your children has become a sort of “trend” amongst both religious and vegan families. With the claims that injecting your children with vaccines goes “against religious morals” as well as families hoping to raise “vegan children,” vaccinations are taking a backseat in the lives of many. An additional concern for many is a unscientifically proven theory that vaccinations can result in autism among young children. As these all may seem to be legitimate reasons for many, the non vaccination of many children is resulting in widespread outbreaks of vicious, fatal diseases. As it is important we are respectful to those who hold their morals in other places when it comes to vaccinations, we can find that our nation is at danger as viruses are out in the open. According to NBC News, 22 Oregon citizens as well as 177 Orthodox Jews in New York have reportedly had cases of measles. These numbers are small compared to the 667 cases recorded in 2014 in the United States. Many of these cases reportedly never received vaccinations for measles. As diseases like this are growing, resulting in an increasing number of Americans that are being exposed to these, we can begin to inquire just why exactly we are putting off these prudent vaccinations. On the flip side, many of these anti-vaxx families justify the lack of vaccinating for preventing Autism in their children. In most cases autism symptoms do not begin to show until the age of two. Many parents will push off vaccinations or not give their children vaccinations in order to prevent a theory that claims vaccinations lead to autism in children. A question then arises why autism has been seen as a negative thing. With April being national Autism month I took it upon myself to share a awareness petition to help to cultivate a more inclusive world to those struggling with autism. 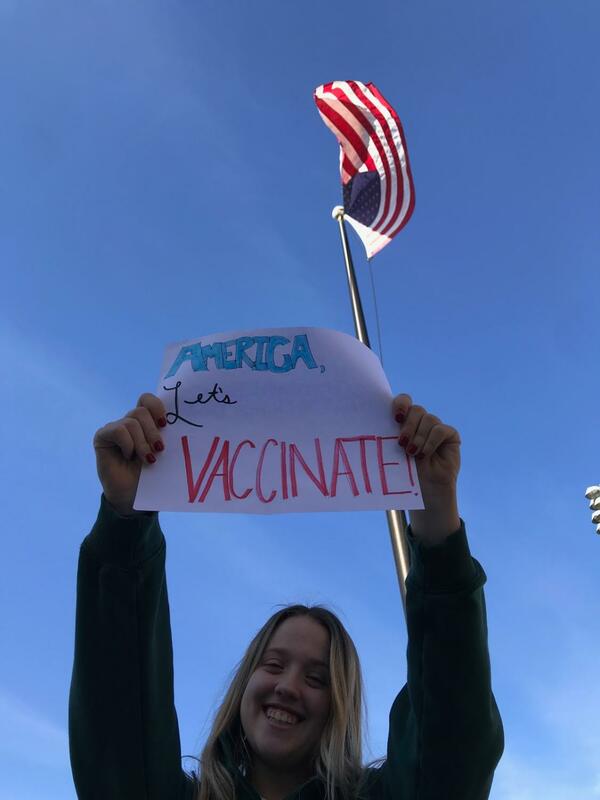 Junior Brianna Butkiewicz shares her take on this dilemma, saying that, “the autism thing is difficult — even though it has been widely disproven, I also think that I’d rather my kid have autism than die because he didn’t get vaccinated. Even though that is an extreme situation you have to think of the dangers those kids are really in who aren’t vaccinated when they can literally die of diseases that were eradicated and cured years ago. Also puts others at risk like measles outbreak in Disneyland a couple years ago”. This epidemic is becoming more and more pertinent not only in our nation but worldwide, and as we seek answers and solutions it is important that we help to focus our efforts into creating a word that is more inclusive and supportive of all people and all circumstances pertaining to vaccinations.